The Chartered Institute of Building is the world’s leading and most influential professional body for the construction industry. 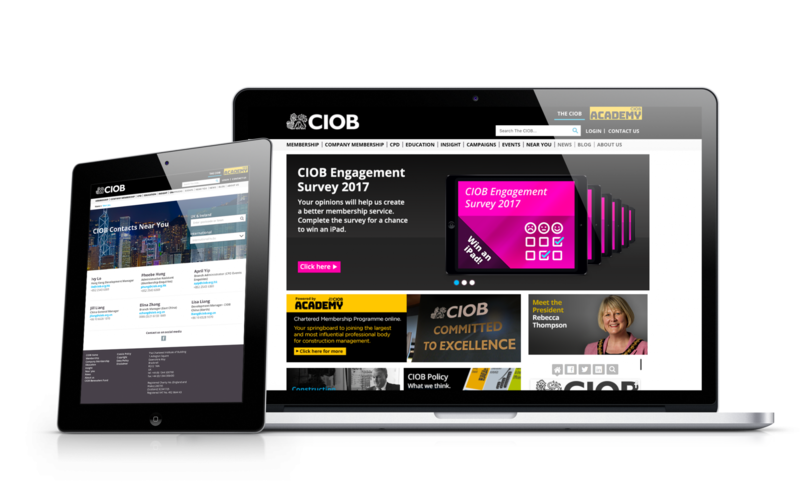 At the centre of its online offering is ciob.org, the key website and portal for all its digital information, including events, training, news, professional development and an extensive document library. Initially working as the preferred design partner we helped create the information architecture, which was informed by a complete site audit and a member user forum. A key requirement in the site’s build was to retain the capability for future growth into other areas of the Institute. These included a members’ networking portal as well as enhanced event information and bookings. The final site plays the role of an effective digital hub for the Institute. CIOB’s internal marketing team have the on-going task of creating fresh content. To help them we created an online project management process. This tracks and maintains elements within the site with unique reference codes. Whether creating banners and graphics, videos and rich media or prototyping new additions to the site, all agile changes are recorded. Through this project we have become an extension of the CIOB team. Weekly reporting and Skype sessions help to keep track of and update all team members about ongoing tasks. They also provide an opportunity to introduce future development work in advance, so everybody gets to understand the future direction of CIOB’s digital brand. 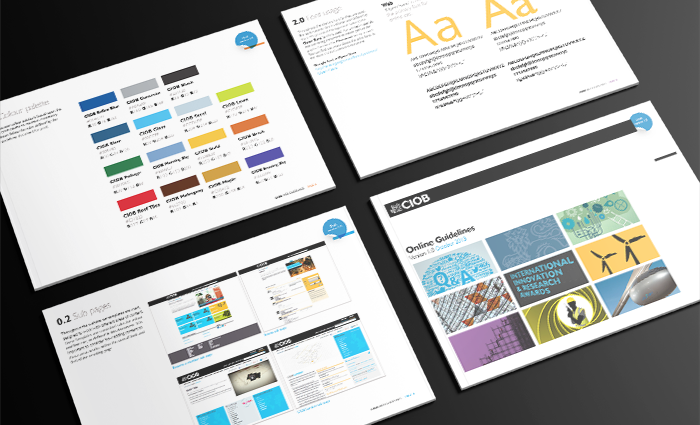 At the same time as working on the design and development, digital guidelines were created to capture the process allowing styles and rules to be applied to other online areas. These include YouTube, LinkedIn and Twitter as well as one-off microsites. 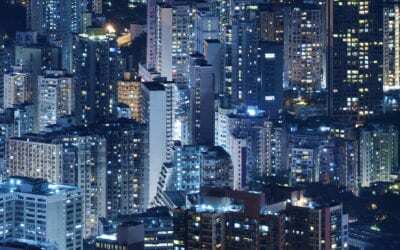 Third party publishers that host and maintain published news sites for the CIOB, such as Global Construction Review and Construction Manager, also use the guidelines. This allows the marketing team to act as online brand guardians and make sure all external PR and web work remains visually within the brand. 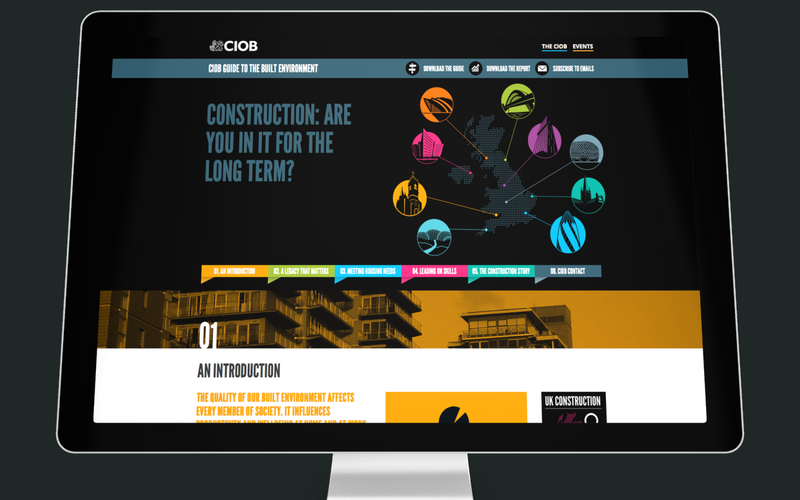 After the successful launch and growth of the main CIOB.org, we began work on further, ‘on brand’ microsites, which were still agile in development and functionality. 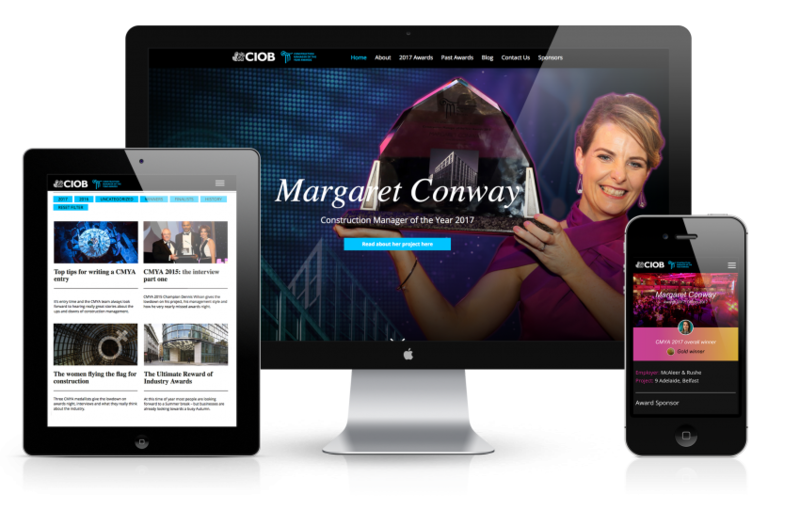 Previously campaign and award sites created for the CIOB had been placed deep within the content of the main site. This meant they lacked their own identities and were hard for users to find. WordPress was the chosen platform for these new microsites, with its core capabilities helping deliver responsive sites for mobiles and tablets. 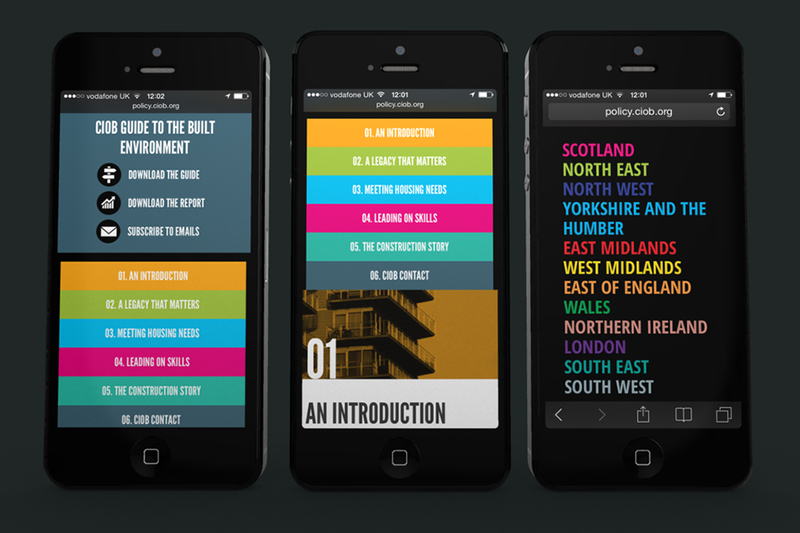 We undertook information architecture work with mobile visitors seen as the key users of the sites. Consideration was given to the variety of content and how it would adapt to suit the visitor’s viewing experience dependent on platform. With the brand style tied down new microsites, such as policy.ciob.org, inspiring.ciob.org and membersforum.ciob.org, have been developed and launched within tight timelines. These have been hosted as sub domains of the main site. 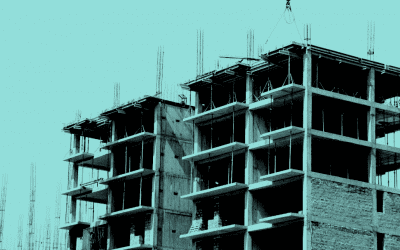 The CIOB projects reinforce the fact that good websites are never finished; once launched they continue to grow with quality content bringing back users for more. ‘Content is king’ may be an overused phrase, but it does work as an aim and perhaps more importantly, an attitude we hope to take to our wider clients. 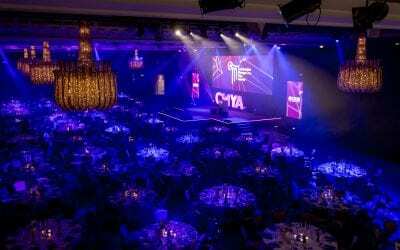 The Construction Manager of the Year Award (CMYA) ceremony is a prestigious event which culminates in one glittering night, but is actually a year long journey from inviting entries, the judging process, and promoting sponsorship, tickets and the eventual winners.